Red Sindhur and Vibhuti appeared on Sri Sathya Sai Baba's photo during Durga Pooja in Sai devotees pooja room in New Delhi. 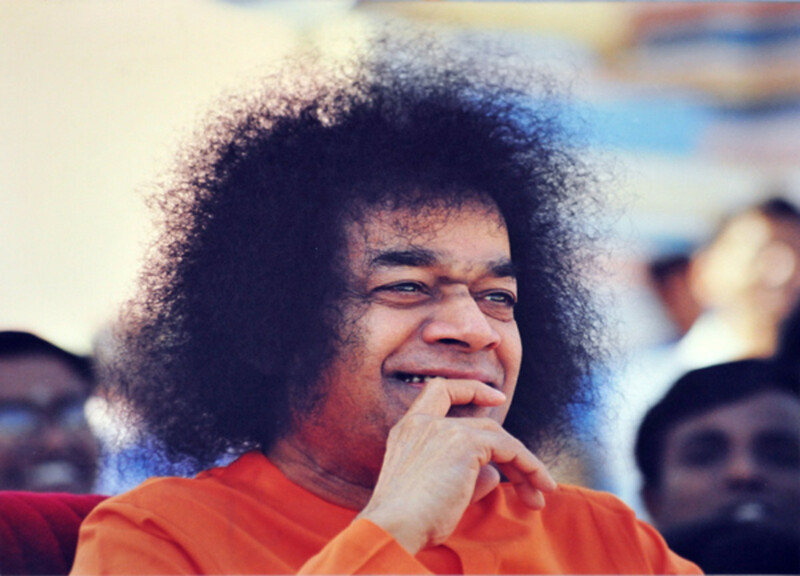 Divine teachings: from Bhagawan Sri Sathya Sai Baba … in His own lovely handwriting! Mr. Chakravarthi's only media interaction in which he offers rare glimpses of his moments with Divinity, while serving the Lord at very close quarters. This exclusive interview with Radio Sai's Karuna Munshi (KM) was first aired on November 23, 2012, on the occasion of Bhagawan Baba's 87th Birthday. Recent photos of Sri Sathya Sai Baba's idol at Sai Nilayam, Colombo. CONGRATULATIONS TO THE PRIME MINISTER OF INDIA - SHRI NARENDRA MODI! Sri Sathya Sai Baba Vibhuti Miracle Photo. NEW ! "Download Shirdi Sai Miracle - E Book"
Sri Sathya Sai Baba's 85th Birthday Updates. Just a reminder, if you are on Facebook then you should join our Sai Ram Facebook-page. We are nearing the 42,000 mark and unlike a lot of pages that are created and you join and then nothing beneficial ever happens, we actually send out daily Sai Baba updates and give exclusive content on most of our postings.